Safeguard your purchase with a Service Plan for the DS3578. 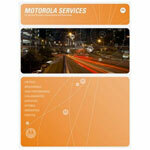 Our Motorola Service Plans provide peace of mind and high-quality repair services. Should a problem occur, simply ship the covered product to a repair depot and it will be returned in working order shortly. Service Contract - 3 year, Zebra OneCare Select. Includes Comprehensive coverage. Includes coverage for cradles.